I was born in Elizabeth, New Jersey but never lived there. I grew up in Queens, New York. First in Jackson Heights until I was seven and Flushing after that. Our family home was in Flushing for over 50 years until 2018. I am first-generation American. My parents were born in Europe and came to the States as children during World War II. My parents and their families were part of one wave of immigration. New York City has experienced many waves of immigration since the middle of the nineteenth century. New York is one of the most ethnically diverse cities in the world with 800 languages Within New York, Queens is the capital of language diversity. Despite the diversity, New York City Public Schools are among the most segregated in the United States. On March 27, the New York Times published an article tracking 50+ years of segregation in the schools and the largely unsuccessful efforts to desegregate them. 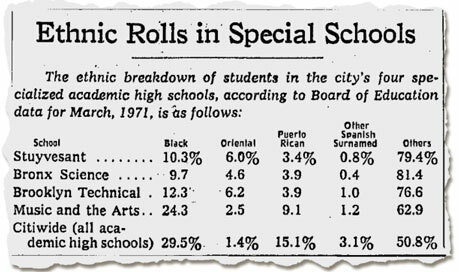 I attended NYC public schools from 1963 – 1976. Primary school was at PS 149 in Jackson Heights, PS 92 in Corona and PS 32 in Flushing. I spent 3 years at Adrian Block Junior High School and graduated from The Bronx High School of Science. In Jackson Heights and Corona schools were paired. Jackson Heights was mostly white and Corona was mostly black. Historically, the two local schools each covered a neighborhood and were segregated. With pairing, they were divided by grades instead of geography. The youngest students went to PS 92 in Corona. The older students went to PS 149 in Jackson Heights. I attended PS 92 and my brother David Winer attended PS 149. My mother Eve Winer was a lifelong educator, activist and supporter of equality. She agreed with pairing and integration. 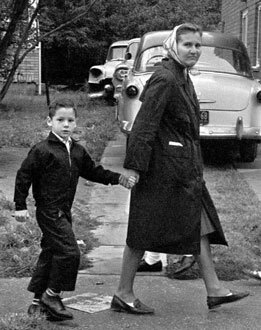 So, at age 5 I agreed and happily walked to school in the next neighborhood over. We didn’t need busses and that made it better. I think I would have hated riding a bus to school. I only needed to walk 8 blocks up 34th Avenue to reach my school. But there was plenty of disagreement. Many families boycotted. They set up alternate schools in the basements of apartment buildings. Our next door neighbors were violently attacked. The alternate schools only lasted about a month, then the boycotting families returned to the public schools. After that, things seemed to settle down with fewer racial problems. Years later at PS 32 in Flushing, my classmates were almost all white. As a European Jewish Ashkenazi family in Flushing, we were considered outsiders by the Irish American and Italian American locals. There were more Jews in the higher academic tracks. We were targets of resentment and bullying. And we had integration through bussing. In primary school, black students came to us by yellow school bus from Jamaica. In junior high school they came by public city bus. Curiously, no students ever commuted in the other from direction our neighborhood to Jamaica. For high school, both David and took the Bronx Science exam and were accepted. The entrance exam only measured intelligence and no other factors were considered. Not academic record, talents, experience or extracurricular achievements. David attended from 1969 – 1972. I attended from 1973 – 1976. We didn’t overlap but we did have the same chemistry teacher. She liked me more than she liked David. I didn’t study for the exam. I don’t know anyone who did. The exam just measured intelligence. To attend Bronx Science, you had to be intelligent and willing to travel further to attend a supposedly better school. You didn’t have to be a good student. My classmates were smart and creative, but not all good students. David attended during the height of the Vietnam War. He was an activist and lead anti-war protests. He joined political campaigns, marched on Washington and published an alternative newspaper. He and his friends managed to create an amazing clubhouse base for their fun and games. He bought a ticket for Woodstock but my mother wouldn’t let him go. I also protested the war but I was the little brother. By the time I arrived at Science the war was winding down. I played Ultimate Frisbee and joined the ski club. I took Computer Science and learned to code. I saw The Grateful Dead at the Palladium, The Stones at Capitol Theatre and Hot Tuna at the Beacon Theatre. I fell asleep during The Who concert at Madison Square Garden. I roamed NY with my friends at all hours of day/night and we felt like kings of the city. At the time, Science seemed racially, ethnically and economically diverse to me. My best friends lived in Riverdale, Harlem, Washington Heights, the East Village, the Upper East Side and the Upper West Side. Science was a superior magnet school and it attracted smart kids. The school drew students from a wide area and created its own diversity. It felt diverse but it was actually less diverse than the public school system as a whole. On the other hand it was much more diverse than it is today. Looking back raises a lot of questions for me. We live in an integrated, multicultural world. I believe people who experience diversity end up embracing it, loving it and living richer lives. Those who segregate themselves become tribal, intolerant and fearful. Integration is good. Centralized magnet schools create a positive force that increases integration. When the magnets aren’t present, should we implement other mechanisms? I honestly don’t know. Pairing seemed to work. They don’t pair PS 92 and PS 149 in Queens anymore. 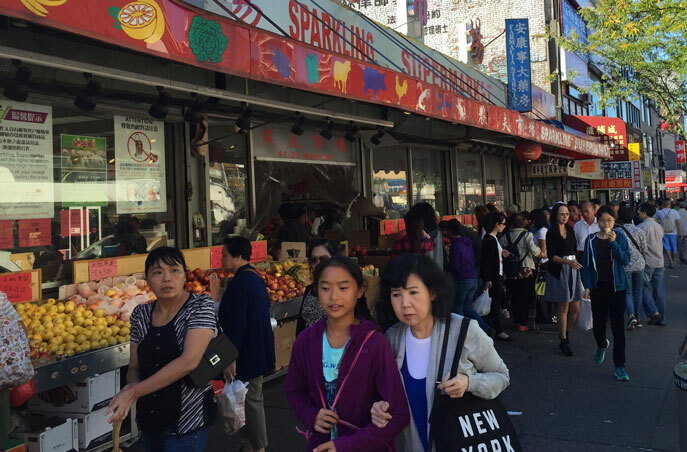 Both Jackson Heights and Corona are now amazingly diverse with people from all over the world. Pairing wouldn’t be relevant. Bussing didn’t really work. Families are overstretched. It’s too much to ask them to endure big commutes, bypassing local schools. Does the intelligence-only exam work for selecting students for superior magnet schools? Probably not. I admit that I entered Bronx Science as an less qualified candidate. No doubt, other students worked harder and were more deserving. A better metric would include intelligence, skills, experience, commitment and achievement. Any admissions metric provides an advantage for students willing to work harder and able to work harder. Parents can drive their children and family money can buy academic enrichment. That can’t be avoided. Some applicants and their families are willing to commit fraud. Fraud needs to be rooted out. Merit is the only metric for doling out admission to desirable, superior schools. Efforts to otherwise tip the balance will always be imperfect at best and potentially unfair. The ultimate solution is bigger and smarter investments, making high-quality education available for anyone who wants to study.